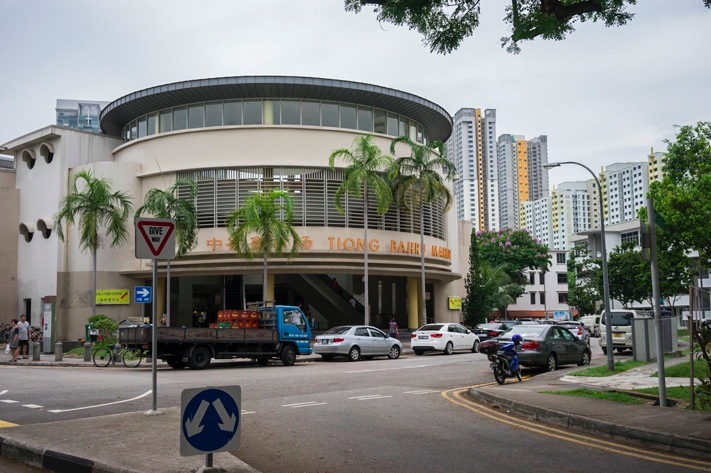 After strolling through Tiong Bahru and looking at the architecture, my former colleague took me to the new market, which was reopened in 2006. The old market, which was opened in 1955, was the first modern market to be built in a housing area. Prior to the building of the Market the hawkers were all street-hawkers, who were under constant threat of being chased off as street-trading was illegal. 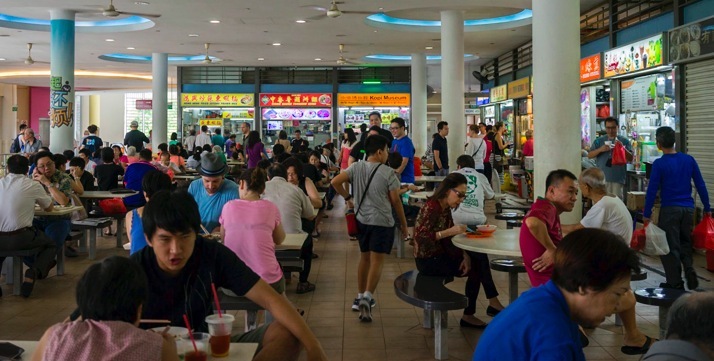 On the lower level of the market are food and flower stalls, on the second-floor level is the open area food court – with lots of different options to choose from. 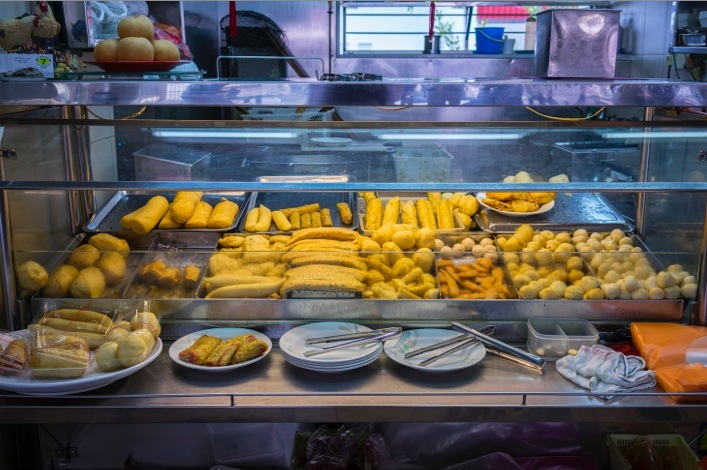 … and then there were lots of fried dishes, made out of different ingredients. I’m not sure what the picture below shows, but I’m assuming these are all dishes made out of fish paste. Or it could be bean curd. Difficult to tell for me. The market is also home to several events that demonstrate a lively folk culture. 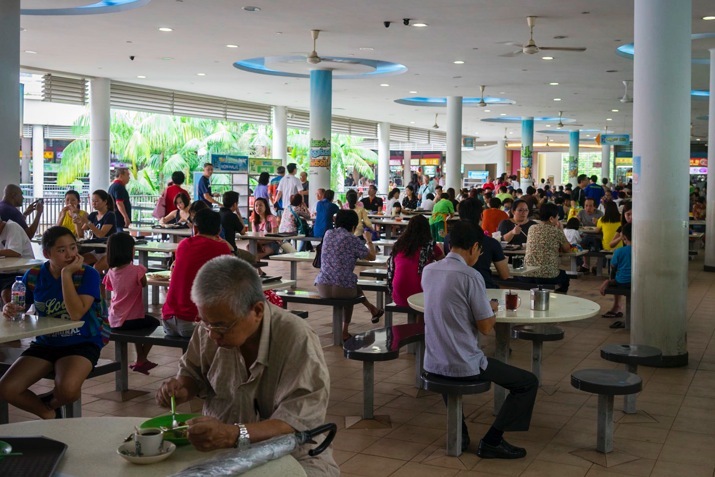 The Market has a regular 7th Lunar Month dinner and auction – but in April it was just full of people eating, at any time of the day. What a great experience, so cheap and cheerful! I’ll be back for more. 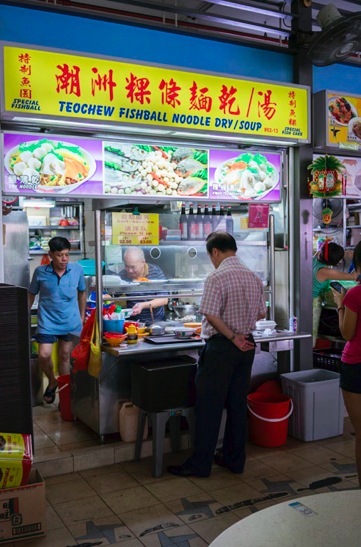 If you want to find out which food stalls to try, check out Daniel’s Food diary, where he lists the top ten food stalls in Tiong Bahru Market! 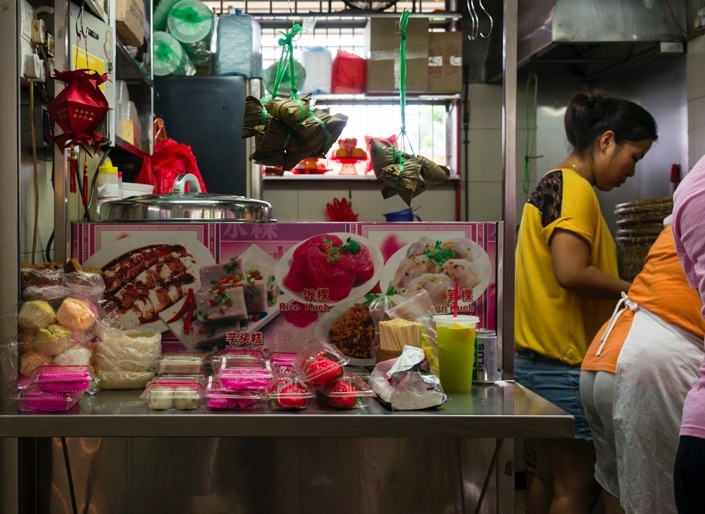 Tiong Bahru is a cool and interesting neighborhood. The mix of old and new works very well.